Introduction: Headache is usually considered a key symptom of intracranial hypertension (ICHT). 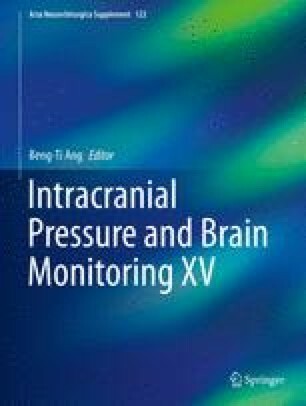 However, there are no published experimental data to support the concept that increased intracranial pressure (ICP) is painful in humans. Materials and Methods: This prospective study was performed in 16 patients with suspected normal-pressure hydrocephalus, necessitating a lumbar infusion test with measurement of cerebrospinal fluid (CSF) hydrodynamics. During the test, ICP was increased from baseline to a plateau. Headache was scored on a visual analog scale (VAS) (0 = no pain, 10 = very severe pain) at baseline ICP and when ICP plateaued. Results: At baseline, mean ICP was 11 ± 3.6 mmHg and VAS was 0. At plateau, mean ICP was 28 ± 9.5 mmHg and VAS was 0. There was a significant increase in ICP (p <0.001), but no increase in headache intensity (VAS). An acute (20-min) moderate increase in ICP was not accompanied by a headache. Discussion: We demonstrate that an acute, isolated increase in CSF pressure does not produce a headache. To occur, a headache needs activation of the pain-sensitive structures (dura and venous sinuses) or central activation of the cerebral nociceptive structures. This peripheral or central activation does not occur with an isolated increase in CSF pressure.